Lightning Favourites As 2017 InterPro Series Is Launched Players from Leinster Lightning, NW Warriors and the Northern Knights met today at the official launch of the 2017 Hanley Energy Inter-Provincial series which gets under way on Monday when defending champions Leinster Lightning take on North West Warriors at The Hills (10.45am). Turkish Airlines has been unveiled as the new headline sponsor of the senior men's international team at a ceremony in Dublin today. 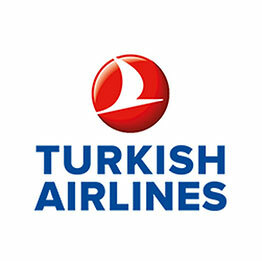 Initially for one year, the exciting partnership ensures Turkish Airlines involvement with the Irish squad throughout the upcoming busy season with the option to extend for a further two years into 2020. Ireland Women found the going tough once again against a very strong England XI in Abu Dhabi, losing by seven wickets. JAMES SHANNON starred with the bat as Ireland Wolves enjoyed double success on Saturday beating Gloucestershire Seconds and Bath in T20 action. Ireland Wolves started their six-match tour of England with a hard-fought win over Bristol University, being pushed all the way by the stubborn students. The Senior and Emerging Academy have just completed their 4 and 3 day Camps respectively at the outstanding high performance centre of La Manga Sports Club Spain. Kevin O'Brien and Paul Stirling have been declared fit to face England in two ODIs at Bristol and Lord's next month and have been named in a 14-man Ireland squad for the "historic" games on May 5 and May 7.